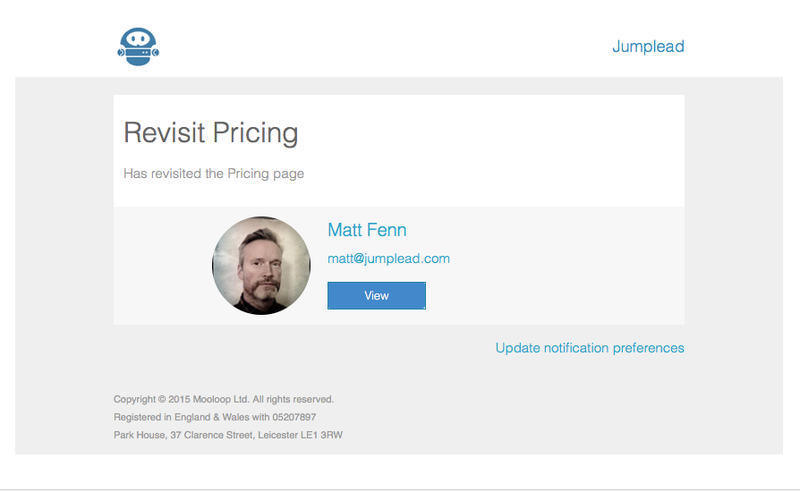 When you create an Activity Stream to filter your visitors down to the ones you are interested in, you can then set Jumplead to send you an email notification when the Stream is triggered by a matching prospect. Use this to let your sales team know when an actively engaged contact returns to your website and views your pricing page, product details or terms. 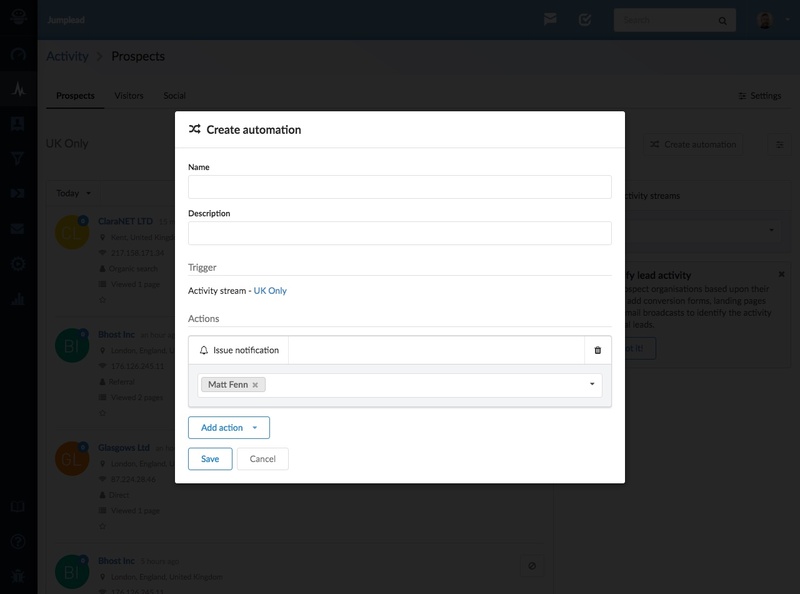 From the Activity section, set up your Prospect stream then click the 'Create automation' button, add an ‘Issue notification’ action and choose which users to notify. This will apply the Automation to the Activity stream and trigger the required activity for contacts that match your Activity stream's criteria.